PERHAPS PREDATING ALL WRITTEN LANGUAGES, tattooing has been around for many millennia. 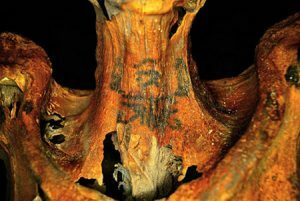 The oldest mummified and tattooed human being dates to roughly 3,250 BC, and perhaps scientists will one day find the remains of tattooed individuals thousands of years older still. 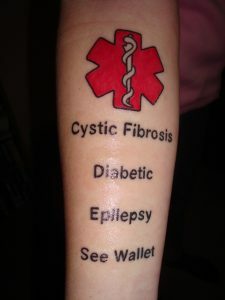 Tattooing sprouted from many different cultures for the multi-use purposes of decoration, identification, ritual ceremony, and in recent years for cosmetic and medical purposes. In the past two decades, tattoo parlors which were once considered dens of ill repute only suited for the seediest sides of large metropolitan centers, have exploded in vast numbers all across the world. 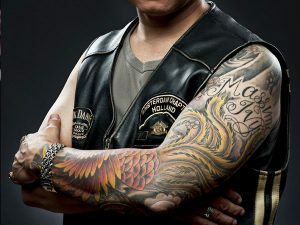 As was inevitable with this popular form of body art, movies, documentaries, and reality competition TV shows, including the most popular of them all, INK MASTER, whose Live Season 8 Finale airs tonight, Tuesday, December 6, 2016 on the Spike channel, have flourished. 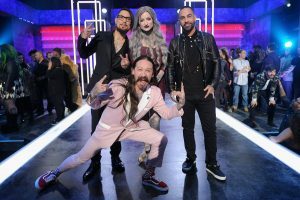 As of the publication of this Blog Post, the three Ink Master finalists Kelly, Ryan, and Gian are currently engaged in creating live 7-hour tattoos which they will finish just as the Live Finale starts airing tonight. It will surely be a dramatic conclusion to an exciting season. Endless are the arguments as to the necessity of a modern day tattoo, especially as the proliferation of this art form has certainly undercut the one-time “cool” and “underground” factor of sporting what many had considered ‘Taboo’ for the last couple of centuries. It’s hard to stick out as a rebel when seemingly everyone is rebelling. In the end, I suppose we can fall back on the old adage, “whatever floats your boat,” be it piercing, tattooing, or coloring your hair. Individuality can be expressed in many different ways. 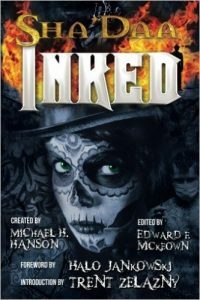 And to indulge in a ham-handed segue, MoonDream Press would like to offer up some exciting and dangerous tales about supernatural tattoos… specialty items procured at the oldest and most eldritch of tattoo parlors, “Mom’s Bane.” Just check out the latest anthology in the Sha’Daa series… SHA’DAA: INKED! Available in trade paperback and kindle! 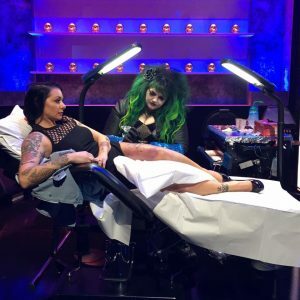 And the winner of Season 8 of INK MASTER is…. Ryan Ashley Malarkey! !